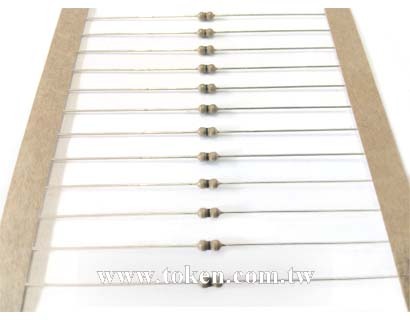 Providing design engineers with an economical power resistor with high quality performance, Token Electronics now offers commercial grade low power carbon film resistors. Designated the CF series, the resistors are available in both standard CF and miniature CFS sizes, the conformally coated resistors offer high quality performance for applications that do not require surge protection or precision tolerances. The commercial grade carbon CF series is available in flame retardant packaging and have ideal specifications for consumer electronic or electrical devices. The CF devices offer a wide resistance range for devices with power ratings up to 3W in standard CF size, and 5W in miniature CFS sizes, delivering high quality performance for general purpose applications. The CF series resistors are ideal for general use applications including electrical equipment, small appliances and consumer electronics, such as televisions and other high-volume products. The CF series feature standard tolerances is G (±2%) and J (±5%), with a resistance range from 0.5Ω to 22MΩ. All CF series devices are RoHS-compliant, and compatible with high temperature soldering processes normally employed for lead free solders. 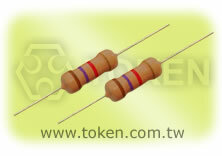 Also, CF resistors are available in various forming styles and different leads for different applications. Contact us with your specific needs. 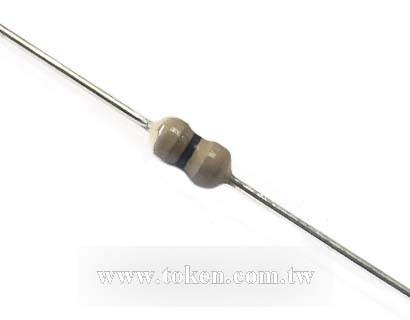 Download complete specification - Pulse Load Carbon Resistor (CF). Axial leaded type, high power at small sizes. Tolerances: G (±2%), J (±5%), Power wattages up to 5W at +25°C. Lead (Pb)-free and RoHS compliant, Operating temperature range: -55°C~+155°C. Consumer Electronic, Telecommunications, Household Appliances, Automotive, Computer, Instrumentation.